At Hiperbaric, we are devoted with our excellence in customer service and totally commitment to satisfy customer needs. That is why we design, develop and collaborate with Desmasa on automatization in HPP solutions that will enhance the competitiveness and increase the efficiency of the manufacturing lines of our customers. 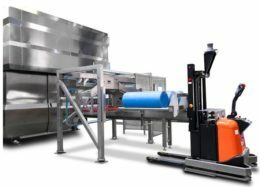 We are completely aware of the influence that automatization HPP means for our customers and as a result, we have put many efforts and resources to be able to automatize the product loading process for our equipment as well as other stages in the production chain such as the offloading process, intermediate buffers, blowing station etc. 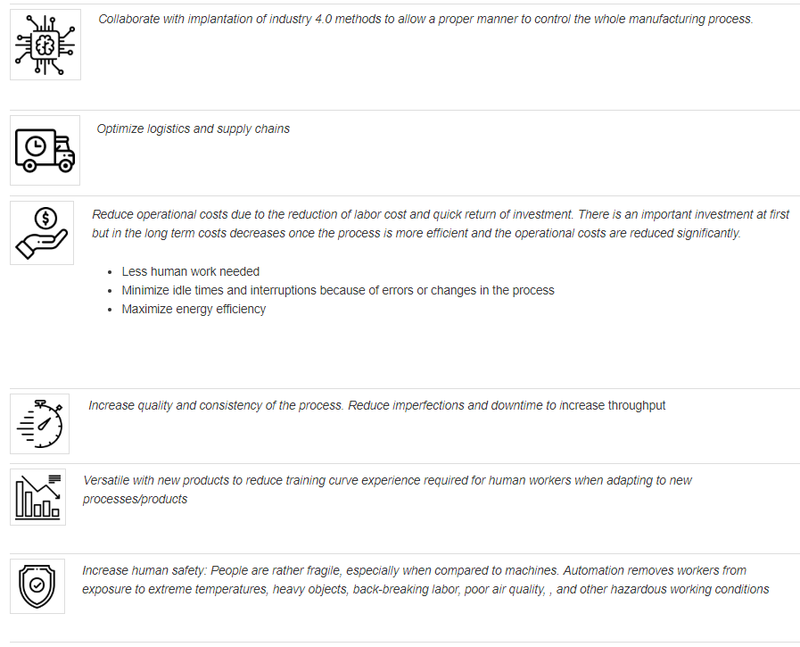 with the goal of being able to convert an industrial process made of different stages with an important human labor demand into a semi-continuous process with minimal human intervention. For this reason, we have a technical office composed by 15 engineers that are experts in different fields (mechanics, electronics/control, robotics, pneumatics, regulations etc.) that are fully involved with automatization and HPP. 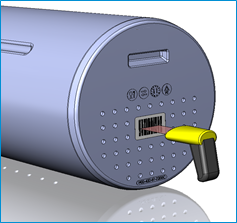 In addition, we have proper and wide premises for assembly and manufacturing purposes as well as design and programming tools to support the work of our engineering team. 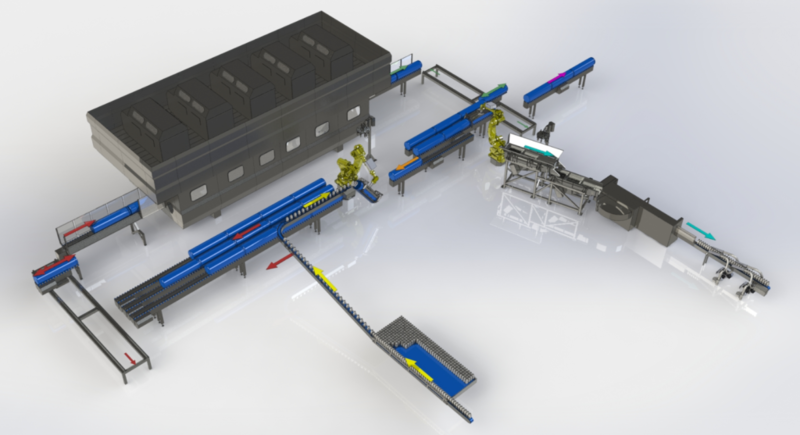 Hiperbaric is capable of developing and implementing fully automated solutions composed by different peripheral equipment such as buffers, transfer conveyors, filling/unloading robots, tilting stations for product offloading, shaker table and blowing stations to meet customers’ requirements in cases where automatization in HPP would be needed. Kofola – UGO (Czech Republic): tilting station + rotary table solution. 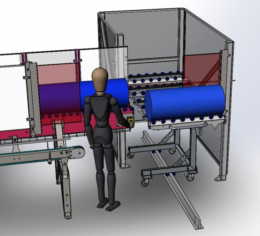 Goal: Reduce handling risks when manipulating heavy loads as well as redesign the work station for a more efficient, ergonomic and less time consumed process. Masseria Fruittirossi (Italia): guided trolley for loaded baskets in the out-feed conveyor. Goal: redesign the offload station by allowing the operator to move the loaded baskets to a different area to be manipulated in a different area far away from the HPP area. 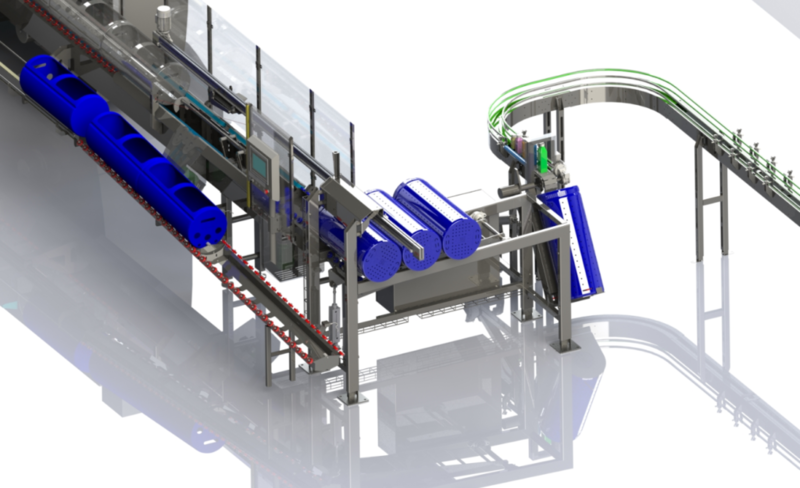 Goal: reduce filling time by adapting the product conveyor inlet with the baskets loading process. Goal: add basket and product traceability into the manufacturing process. Nowadays, industry is looking for more autonomous and efficient process. From a management perspective, reliability, availability, productivity, performance, and cost reduction are powerful arguments for adopting an operations automation solution. Hiperbaric would be a right choice to create added value to the manufacturing process whereby HPP is involved. Hiperbaric excellence in customer service, years of engineering experience in HPP business and knowledge in proper ways to manipulate the food product when entering into a HPP machine would be a factor to achieve customer needs and benefits of automation in a food plant. If you want to know more about HPP and how to improve food safety and quality of your products, contact us, the world leading manufacturer of High Pressure Processing machines for the food industry.